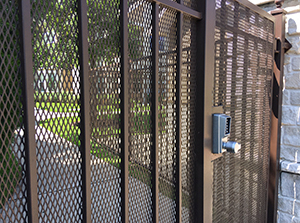 Expanded metal is an extremely versatile product that is created by making multiple slits in a sheet of metal, then stretching the sheet to produce a unique diamond pattern. This variation of the standard expanded metal manufacturing process involves flattening the sheet by passing it through flattening rolls, a technique known as “cold rolling.” This produces thin, expanded metal sheets and stretches the pattern even further, while also providing a smoother, flatter finish. Flattened or cold-rolled expanded metal offers many of the advantages of standard expanded metal, such as versatility, a wide variety of opening sizes, low maintenance and cost-effectiveness. The fact that flattened expanded metal is typically about five percent lighter than standard expanded metal makes it suitable for applications that require a nimbler and more agile product that still offers the necessary strength and durability. Flattened expanded metal has a wide range of industrial applications. It is frequently used to by architects in the design of ornamental accents such as wall partitions or garage screening. Flattened expanded metal can also be incorporated into the design of fencing and security partitions. Additionally, it has many household applications, such as for outdoor/patio furniture. 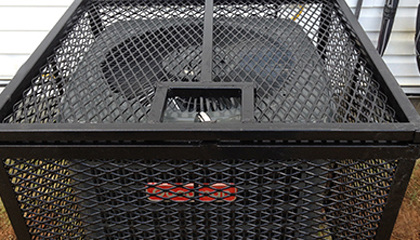 The excellent air flow allowed by the design of flattened expanded metal makes it an excellent choice in the manufacturing of grilles and vents. 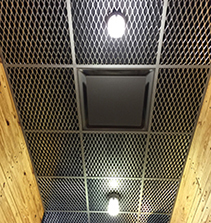 Retailers can make use of flattened expanded metal for lightweight store fixtures. Marco Specialty Steel can serve as your one-stop headquarters for any type of flattened expanded metal product. Our expansive inventory includes flattened stainless expanded metal sheets, as well as carbon steel and aluminum offerings. You will find a wide selection of sheet, design, opening and strand sizes and various thicknesses. We only offer flattened expanded metal products of the highest quality, ensuring they meet every customer’s expectations in terms of performance and durability. If you’re looking for a specific size or type of flattened expanded metal that isn’t listed in our stock inventory, please let us know. We have our own in-house fabrication department where we can customize any of our stock metals to meet the most challenging or unique applications. Our fully equipped fabrication shop and unparalleled expertise can provide the right solution for your company. 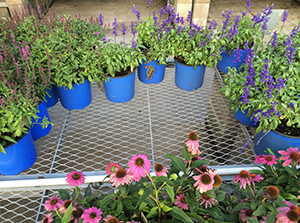 We custom make everything from flattened expanded infill panels to safety machine guards to our clients exact specifications. While many metal companies claim to provide superior customer service, Marco Specialty Steel actually delivers. 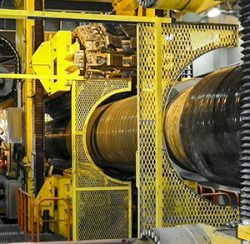 In addition to our multiple customization options, we offer the fastest project turnaround times in our industry. You can also count on our experienced, knowledgeable team to do whatever it takes to achieve a successful outcome for your project. We invite you to contact us to learn more about our flattened expanded metal products and services and to get a no-obligation project quote. We will also be happy to discuss your customization requirements.